Stimulate your student's reading skills with these funny, original stories that complement the ¡Cuéntame! text book. Ideal for individual reading. 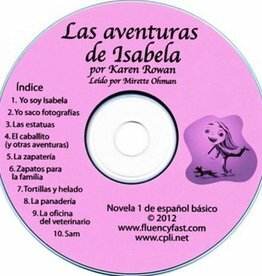 Fun Spanish audio book for elementary/primary school. The 8-year old Isabela has many adventures that are totally compelling to younger students. 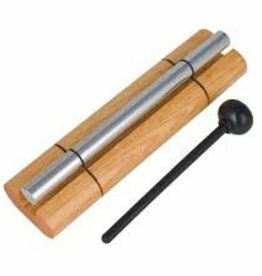 Order now for more fun in class! 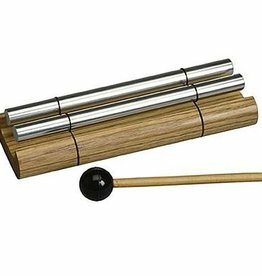 Spanish audio book for elementary/primary school. Isabela and Daniel try to save the life of a baby howler monkey. A funny and captivating story. Order online! 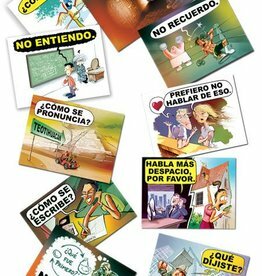 A complete Spanish curriculum for the first three years of elementary/primary students. Creative and interactive, with lots of stories, songs, games and action! Student book for elementary / primary students. 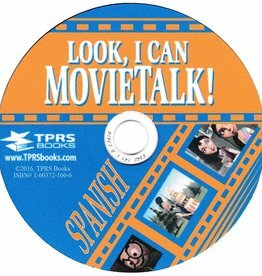 The first book in the popular TPRS-series. Fun short stories and many creative activities for the Spanish class. Order now! 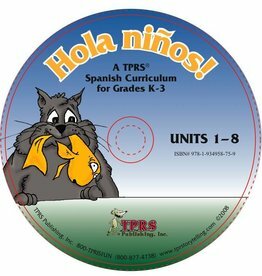 Spanish teacher's guide for the popular TPRS series at elementary level. Stimulate your students creatitivy and have more fun teaching with this storytelling method.